Maybe I should write more about those Frenchmen. I have been meaning to translate Eugene Collache’s “Une Aventure au Japon” for some time now. 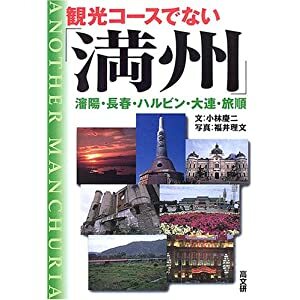 I might do that when I get a moment, as I have been thinking about making it the basis of a book about the Republic of Ezo and the involvement of foreigners in Japan’s civil war. A noren curtain, bearing the image of Goryokaku, the five-pointed star-shaped fortress in Hakodate, serves as a constant reminder to me over my office door. One the many book projects that are simmering while I work on others, but I’ll get there in the end. 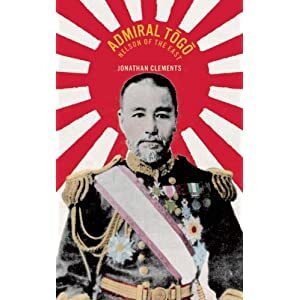 Lovely evening yesterday at the Japan Foundation for the book launch of Admiral Togo: Nelson of the East, where I discussed Togo’s odd relationship with the British, from his teen years when he stood in samurai armour, wielding a sword and facing up to a warship, through his student days in Kent aboard the training ship Worcester, up to his run-ins with British vessels on the China Seas. Most notoriously, his sinking of the British registered transport Kowshing in 1894, which was captained by a fellow graduate of the Worcester and was hotly debated in the letters page of the Times for many months. Everybody had a good time and there were lots of laughs at the expense of British MPs, confusions in signal flags, and the misfortunes of the Russian Baltic Fleet. It’s been 99 years since Togo was feted by the British on his triumphant world tour of 1911, and it was nice that he got to be celebrated again. From Admiral Togo: Nelson of the East, by Jonathan Clements. Available now in the UK and soon in the US. 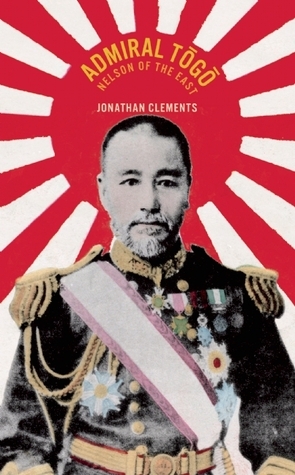 And for readers in the London area there’s still time to book yourselves a place at my free lecture on Wednesday at the Japan Foundation, Johnny Chinaman: Admiral Togo and the British. I guarantee at least one joke at the expense of Essex.